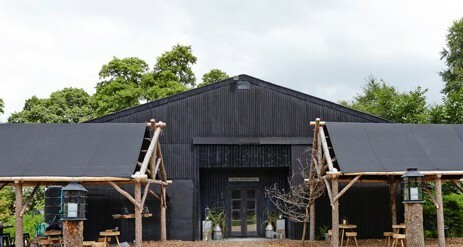 The new North Star Club is unique glamping, nestling within 500 acres of native English woodland in the peaceful Yorkshire Wolds. Inspired by the legendary American Great Camps and suffused with Yorkshire country style, it blends beautifully into the untamed forest setting. 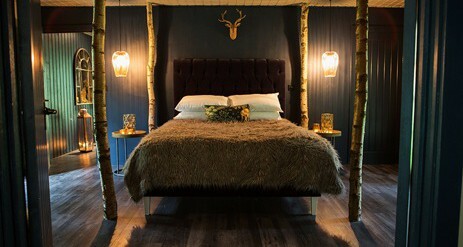 The result is a ruggedly cosy and indulgent woodland escape, the perfect getaway from the pressures of 21st century living. This isn’t a self-catering experience, we have too many great places to eat nearby! 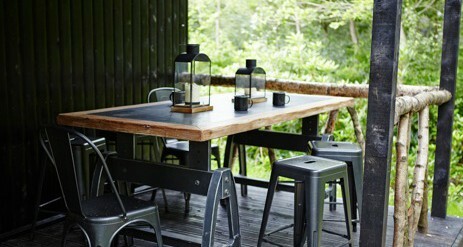 We can however deliver a BBQ pack to your suite or you can have food hampers delivered by arrangement. This is a fabulous place for a romantic weekend break as well family breaks or corporate groups as the accommodation is flexible, with some suites sleeping up to 6 people. 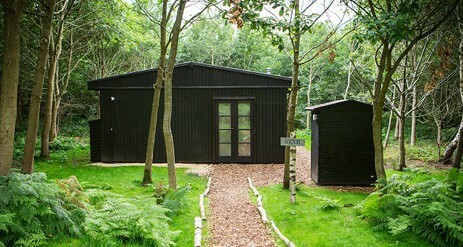 This is a British forest holiday with a difference, forget the crowds, over used facilities and boring commercial woodland, discover instead a beautiful native forest with huge bio diversity. 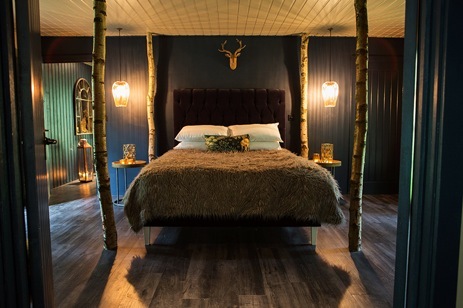 Eight unique woodland suites to choose from, all inspired by the people and places of this fascinating county, they all have a cosy sitting room, large bedroom with a wood burner and comfy kingsize bed and of course a spacious bathroom. With the impressive bedroom, bathroom and sitting room these versatile suites are perfect for couples and if you can’t leave the kids at home some can cleverly accommodate up to 6 people! Corporate groups and posh hen parties are also welcome at the North Star Club. Rose, Howard and Atkinson Grimshaw Hideaway Suites are for if you’re looking for something a bit more special. 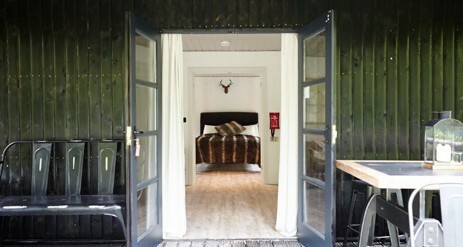 These gorgeous suites have copper baths, 4 poster beds and I pod docks. This gorgeous suite has everything the Hideaway Suites have but with the addition of a lovely, private, infra-red sauna – the perfect indulgent retreat! While it’s essential to have your own intimate space you may also want to take advantage of The Woodshed – our communal relaxation space. Snuggle up with a book by the fire with tea, coffee and homemade cake all based on an honesty system. Purchases from here can be added into the honesty book, under your name and suite number and then settled up at the end of your stay. 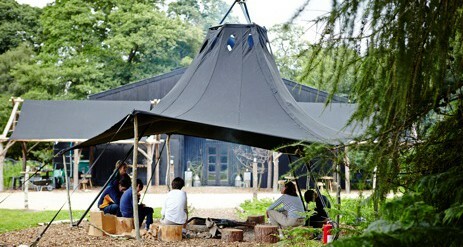 Outside you’ll find our canopied campfire, perfect for chilling and stargazing in all weathers. Yorkshire is famed for its fabulous food heritage and we’re blessed to have a range of fabulous places to eat around the Club. The award winning Star @Sancton (on our doorstep) is a fine local pub run with heartfelt passion by chef Ben and his partner Lindsey. The Star @ Sancton, is just a few minutes’ drive from the Club, or 20 minutes’ walk if you’re keen! They serve delicious, locally sourced food (a world away from “pub grub”) and local micro beers in a relaxed and cosy environment. This fine pub is devoted to sourcing and using local produce and much of it comes from their own allotment garden and orchard. We have teamed up with Chef Ben to offer delicious Yorkshire suppers delivered straight to your suite. Why not take advantage of some of our pampering treatments during your stay. You can enjoy a range of treatments in your very own spa style bathroom. Being able to tumble straight into your own bed for a quick snooze, or have a luxurious soak in your tub, makes this a really blissful experience. Ruth is our Beauty Therapist with over 8 years experience working in a Health Spa & Beauty Salon. Ruth is Elemis trained and specialises in Swedish & Deep Tissue Massage and offers beauty treatments and pamper packages using CND & Temple Spa products. If you’re yearning for the great outdoors then this is a truly fabulous part of the country to visit, we’re nestled into the Yorkshire Wolds, in what’s become known as “Hockney country”, where our most famous living artist lives and works. We’re located just outside the village of Sancton.